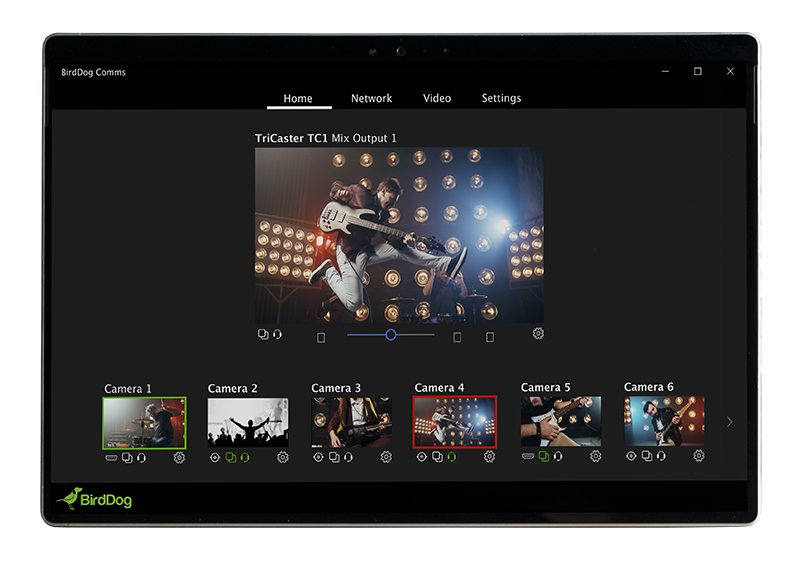 BirdDog Studio ($895.00 MSRP) enables your existing video cameras and other video sources to be included into a new IP workflow for your live productions. Once you convert your HDMI or SDI signal to IP the possibilities of live productions are magnified. Any network connection becomes a live video input into your video switcher and other production devices. With the BirdDog Studio (pictured below) you can easily convert your baseband SDI or HDMI to NDI and take full advantage of flexible IP networks. You no longer need to run long SDI cables (or much shorter HDMI cables!) to bring in live video sources to your video switcher, instant-replay system, graphics generators or streaming devices. NDI lets you bring inlive video in real time anywhere on your network. NDI was developed by NewTek for the TriCaster and other NewTek products. Many, many other vendors have joined the NDI world including vMix, vizrt, StreamStar, LiveStream, WireCast, OBS (Open Broadcaster Software). Until September, the Studio NDI includes BirdDog's Comms software (see below) for free, a $495.00 value. BirdDog Studio Mini . . . works with HDMI video sources and makes them part of the NDI world! BirdDog Studios' Comms software (MSRP $495.00) pictured below allows you to create an intercomm system using your NDI network. Running on a Windows 10 touchscreen device, you can communicate with your camera operators while switching a live show.